ONVIF hosted its 14th Developers’ Plugfest in early June in West London to allow testing of its standardization initiative for IP-based physical security products. With multiple testings of ONVIF-conformant products, the Developers’ Plugfest included interoperability testing for all six ONVIF profiles, including Profiles Q and A, which are both scheduled for final release in 2016, and Profile T, ONVIF’s newest profile for video that is currently in development. The Brentford Plugfest drew 56 technical expert attendees who logged 295 hours of total testing time during the three-day event. In addition to Profile interoperability tests, all ONVIF clients had one hour of testing using ONVIF’s Client Test Tool Clinic, and also had the opportunity to discuss with Test Tool developers any issues that arose during conformance testing. 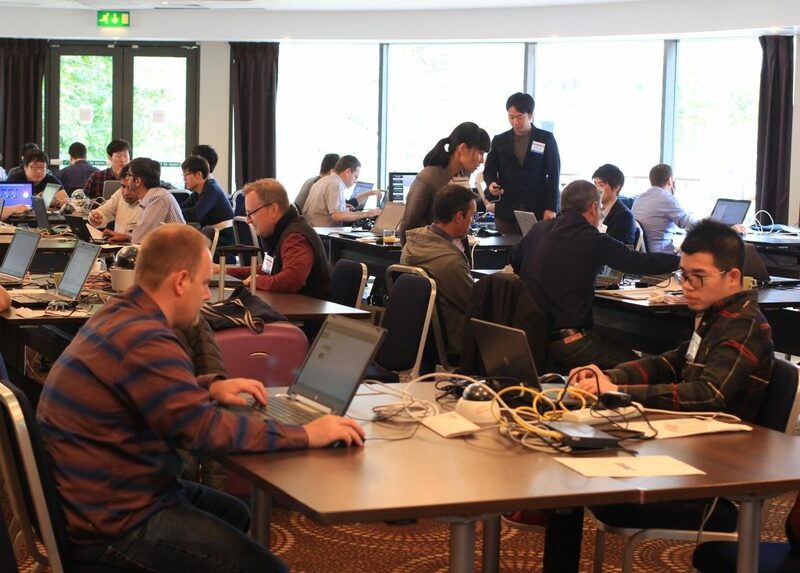 The Brentford Plugfest drew 56 technical expert attendees from 27 companies from around the world and attendees logged 295 hours of total testing time during the three-day event. Plugfest attendees tested interoperability for Profile Q for out-of-the-box interoperability and Profile A for everyday access control functions, along with Profile S for IP-based video systems, Profile C for IP-based access control and Profile G for edge storage and retrieval. Some developers also tested for interoperability using Profile T for video, ONVIF’s newest profile that is currently in development and is scheduled to be released by ONVIF in 2018. ONVIF’s next Plugfest will be in Taipei, Taiwan, on November 9-11, 2016, hosted by Vivotek.